and surrounding areas subject to availability. We understand your pet’s needs as well as you do! Areas of service include: Brandon Fl , Valrico Fl , Riverview Fl , Lithia, Seffner, Fishhawk, Bloomingdale FL (East & West) and Select Tampa areas including South Tampa, Harbour Island and Davis Islands. Ready to Reserve Pet Sitting? You and your pets will benefit emotionally and physically. Great Pet Sitting at Home! 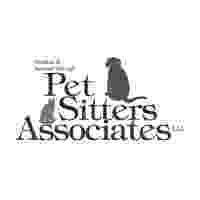 Pet Sitting | Dog Sitting | Cat Sitting & Daily Dog Walking Service Begins at Home. Vacation Pet Sitting offers the opportunity to relax and enjoy your time away knowing that your pets are being well cared for and loved. 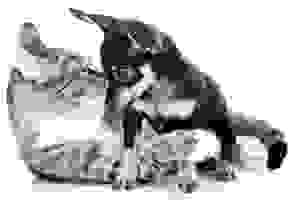 Astro Pet Sitters is fully insured and offers professional Pet Sitting and Dog Walking Services avaiable in Brandon, Valrico, Riverview, Seffner, Lithia, Bloomingdale FL (East & West) and Fishhawk (call for additional locations). Your pets receive will 10 - 30 minutes* of our undivided attention! 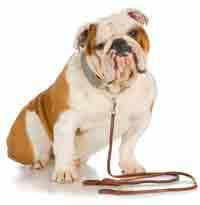 Safe and secure dog sitting and cat sitting service in your home is our specialty. See pricing page for rates. Quick Potty Breaks are great when you're thinking of heading out for happy hour with co-workers or just can't make it home until later? Call us and we'll stop by to feed, walk and play with your pets while you relax and unwind. Visits last an average of 10-15 minutes* and your pet will receive our total attention during this visit. Establish a lasting relationship with us today and count on us any time you go away or just need a break. Daily afternoon dog walking and potty break service is available when you just can't be home midday. Daily Dog Walks, an invaluable service plan dedicated to those working long hours or anyone who needs a helping hand due to health concerns, time constraints etc. Daily Dog Walking is offered between the hours of 11-2 Monday thru Friday and is available and reduced rates to pet owners who enter into a monthly contract. Please see our pricing/plan page or contact us for more details. Cat Sitting Service is offered on a daily basis while you're away . With each visit the litter box will be maintained to purr-fection, water bowls will be cleaned and refilled, food dishes filled up, and your feline friend will get lots of love and affection. Hotel Hospitality is a special service we offer, based on an hourly rate, to keep your pet company at your hotel. Visiting with your canine family member and need to be out of your room for a while? No worries! We will stay at the hotel keeping your pet company until you return. Walking, feeding and pet & play time are all included! Your pets deserve the very best, and that is the only standard of service we offer. Dog Walking • Pet play time • Litter Box Maintenance • Collect Mail • Fish Feeding • Retrieve newspaper • Plant Watering • Adjust Blinds • Maintain overall lived in look! *Although most visits range from 10-30 minutes depending on your pets needs and care requirements, our fees represent the number of visits to be made and not the length of each visit. Because we can’t take care of ourselves you know. PREVENT NEEDLESS TRAGEDY! NYC Dog Barks Himself to Death! Full story. While in our care the pets only source of air conditioning went off during a power failure. When the power came back on but the unit did not. We were able to detect that the air unit had shut down and restarted it with no injury or unnecessary stress or discomfort to the pets. With 5 dogs in our care a client who was enjoying a caribbean cruise had their power turned off late on a Friday afternoon by the power company. Upon arrival to the home we read the notice on the front door and took immediate action to have the power restored before 6PM after which time the home would have been without power for the entire weekend and the pets would have been subjected to 90 plus degree temperatures. The remedy was not as simple as a call to the power company. We had to contact the clients at sea, obtain their password information for TECO as well as their credit card information and passwords. Within one hour the power was restored and the pets were safe. With four dogs in our care a client was forced to go out of town to take care of an emergency. One of the dogs had been ill and on medication but had improved and was doing much better. Unfortunately, the condition was apparently contagious and another pet became ill. We took immediate action to get the sick pet to the emergency vet, after hours, where she was given treatment and medication and she was as good as new in just a couple of days. Many clients are unaware of detrimental changes in their pets as they are exposed to them every day and just don't notice the subtle clues which may signal sickness or some other form of animal distress. On many occasions we have pointed out what we felt were potential issues worthy of consideration. Once aware of our concerns the client was now able to monitor the situation to determine if their pet did indeed require medical or some other form of attention. Get professional care for your home and your precious pets! If you've never used a pet sitter or cat sitter before, you and your pets are in for a real treat (and we all know how much they love treats). 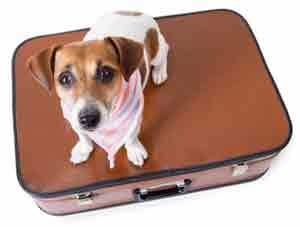 Like most pet owners, you may feel terrible leaving your pets at a pet boarding facility. Besides that tearful drop off and the risk of having to spend one more night without them because you returned home after the kennel was closed, it's just not "HOME" to your pets no matter how nice the facility may appear to be. Yes, there are some aggressive pets that would do better being boarded for various safety reasons and concerns, but most pets would love the opportunity to stay home. Many pets get stressed and confused when they are not in their normal environment. Our own Peek-a-Poo came home with laryngitis the ONE & ONLY time we boarded the poor little guy. We will be a tremendous help to them and your pets will do much better Just Staying Home under the watchful eye of our high level of in home pet care. We care for all breeds of all sizes and are Pet First Aid Certified and will administer medication and/or injections when needed. We welcome the opportunity to serve you and your pets. We gladly offer pet sitting service in the following locations: Brandon, Valrico, Riverview, Fishhawk, Lithia, Seffner and Bloomingdale Florida. We know you would take your pets with you if it was possible, so why subject them to caged boarding? Your pets are a very important part of your family. They will be a huge part of ours as well. If you feel like we do, then you know they are not just "the dog" or "the cat", they are like our children. We talk to them, give them hugs, feed them, give them boxes of toys, a comfortable place to sleep (sometimes with us), but most of all: we give them LOTS of LOVE! They are always there for us no matter what. Their love is unconditional. We know each and everyone of our clients feels the same about their pets, so our goal is to do our best to keep your pet happy and stress free while you are away. Keeping your pets well cared for in the safety and security of their own familiar environment is much less stressful for your pets. Hopefully, we will help to make your time away stress free as well. Keeping your pets well cared for in the safety and security of their own familiar environment is much less stressful for your pets. We will help to make your time away stress free as well. Your pets deserve the very best, and that is the only standard of service we offer. 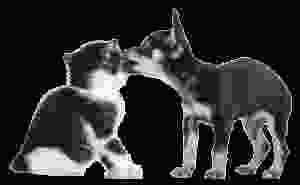 Your pets will benefit emotionally and physically by using a pet sitter give us a try. We hope that you find our website informative and helpful in choosing ASTRO to care for your pets and your home. Please feel free to contact us if you have any questions. We are always happy to hear from you! Looking forward to meeting you and your pets soon! Astro Pet Sitters has certainly made my retirement more care free, not just for myself and family, but for my dogs too! Having recently retired as Director of Field Operations for Homeland Security here in Florida, security of my home is a priority as well as top-notch care for my dogs whenever we travel." Prior to discovering Carl and Astro Pet Sitters, I never felt comfortable going out of town because I have multiple dogs and cats, several of whom are handicapped and/or quite geriatric. I could not trust just anyone to maintain the level of care my animals require. Then I had the good fortune to hear about Astro Pet Sitters, and Carl has been a Godsend!" We care for pets with special needs! Call 813-481-5738 for details. A Special Thanks to our clients and friends who congratulated us for being featured in the TAMPA TRIBUNE. I wouldn't trust anyone else to watch our animals.